Patrick Brazeau pleaded guilty to simple assault and cocaine possession at the resumption of his criminal trial today in Gatineau, Que., but the senator was formally acquitted of sexual assault. Brazeau, 40, entered the plea this morning in Quebec Court, after the Crown and defence reached an agreement last week on on how to settle the matter. The former member of Stephen Harper's Conservative caucus is now a step closer to regaining his Senate seat, as both his lawyer and the Crown prosecutor have asked Judge Valmont Beaulieu to give Brazeau an absolute discharge, which means he would walk away with no criminal record. Gerard Larocque, Brazeau's lawyer, told Beaulieu that if his client receives the discharge "his chances are excellent" of returning to sit as a senator. Beaulieu said he would consider the request and hand down Brazeau's sentence on Oct. 28. The sexual assault charge stemmed from an alleged incident two years ago in western Quebec. The female complainant, whose identity is protected, claims Brazeau pushed her down stairs, choked her, hit her head against a wall, spat on her and sexually assaulted her. She testified she feared for her life during the alleged fracas with Brazeau. 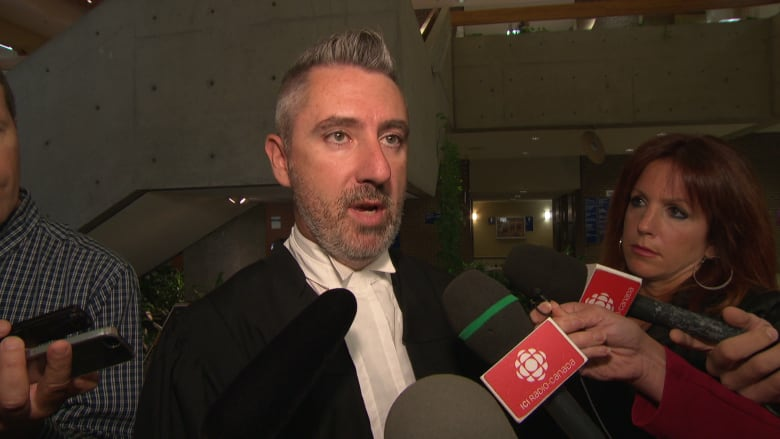 "What we told the court is that given the proof at this time on the sexual assault charge, getting a verdict beyond any reasonable doubt seemed to us not very probable," Petitclerc told reporters outside the courthouse. "Brazeau was also supposed to take the stand, testify and be [cross-examined]," Petitclerc said. "By pleading guilty, the video will not be shown and he won't be [cross-examined]. So that's maybe a strategic decision." Beaulieu said in court the alleged victim of sexual assault — whose name is protected under a publication ban — provided "weak" testimony during the initial stages of the trial. After hearing the evidence that has so far been presented in court, the judge acquitted Brazeau of the sexual assault charge. "For 2½ years I've been charged with sexual assault and that accusation is the worst, or one of the worst, that anybody could have," Brazeau told reporters outside the courthouse. "It's over. I've been found not guilty of that," he said, adding that he now plans to take a vacation. The cocaine charge was separate, arising from an April 2014 incident in which Brazeau was also charged with assault, uttering threats and breaching bail conditions following an altercation involving a man and a woman at a home in Gatineau. The Crown has now dropped those criminal charges after securing the plea on the lesser charge of cocaine possession. A separate 2014 charge of impaired care or control of a motor vehicle remains outstanding against Brazeau. The senator was kicked out of the Conservative caucus after this incident. Larocque said his client has signed up for university courses and intends to retake his seat in the Senate. Brazeau, when asked if he planned on returning to the upper chamber, replied: "That's the plan." 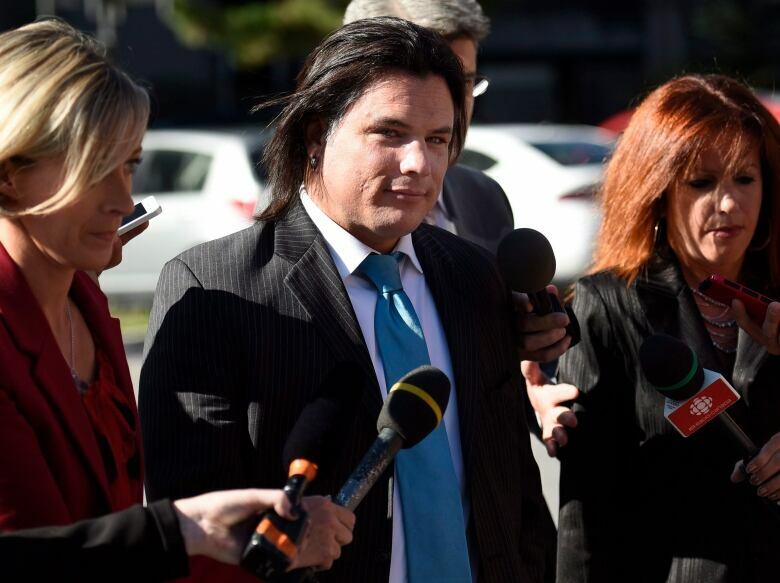 Brazeau's criminal trial on fraud charges arising from his questionable Senate expenses is scheduled for March 2016.